Seattle: University of Washington Basketball In January, the Windermere Foundation and the YMCA participate in the annual Husky Hoops free-throw fundraiser. For every hoop a “Y” kid makes, a $100 donation is made to the “Windermere Kids at the Y” scholarship fund. 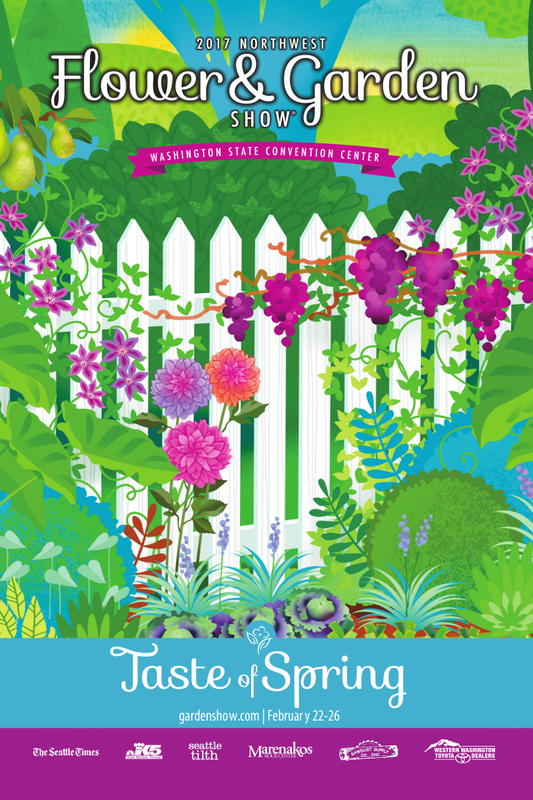 Northwest Flower & Garden Show: Dozens of Windermere Greenwood Brokers purchase tickets in appreciation of their clients to this annual event at the Washington State Convention Center. Annual Shredding & Recycling Event: The Windermere Greenwood office invites our friends, neighbors and clients to bring in all their sensitive documents for shredding as well as old electronics to be recycled. This is a free event that has become very popular as people are moving towards being more environmentally friendly. Phinneywood Art Walk: “The Big One” Friday & Saturday in May Over 80 local businesses and 150 artists participate in this annual 2-day event. Art-Up, Chow Down monthly artwalk in Phinney & Greenwood is from 6-9 pm the 2nd Friday of each month. Our Windermere Greenwood office participates in the Art Walk during the summer months beginning in May. University of Washington Annual Windermere Cup Regatta: The races are held as part of the celebration of Seattle’s Opening Day of Boating Season and are followed by the Seattle Yacht Club’s Opening Day Boat Parade. More than 700 rowers compete in this prestigious international event, which culminates with the women’s and men’s Windermere Cup races. Nationwide Open House: Every year, during the first weekend in June, real estate brokers across the country participate in the National Association of REALTORS® Nationwide Open House, raising awareness about the real estate market in our local communities. Northwest Community Service Day: This nationally recognized volunteer event sees all our Pacific Northwest offices close for a day of community service. Examples of projects include cleaning, landscaping, and painting senior citizens centers, facilities for physically and mentally challenged children and adults, public parks and schools, low income housing, and emergency shelters. Recent Community Service Day projects were creating a fun playground mural at View Lands Elementary School and assisting senior residents with lawn, garden and yard maintenance with the Greenwood Senior Center and PNA. Windermere Greenwood Beer Garden at the Greenwood Car Show: All proceeds to benefit the Windermere Foundation, which supports low-income and homeless families in our community. Seattle to Portland Annual Bike Ride: Windermere brokers participate in the annual 200-mile bike ride from Seattle to Portland. Money raised by riders benefits the Windermere Foundation. Greenwood Seafair Parade: Thousands of spectators line Greenwood Avenue to enjoy this annual, Seafair event with drill teams, marching bands, floats, princesses, pirates & clowns providing great family entertainment. The Don Deasy Windermere Legends Memorial Golf Tournament: Each year Windermere Services hosts the annual golf tournament to benefit the Windermere Foundation and The Don Deasy Memorial Leadership 1000 Scholarship Fund. The tournament honors the memories of four Windermere Legends: Don Deasy, Terry Haberbush, Vince Haugerud, and Wally Starkey. Greenwood Trick Or Treat: We love seeing kids in costume during the Phinney/Greenwood Business Trick or Treat event for Halloween. We’re just a half block east of the main Greenwood Ave strip. 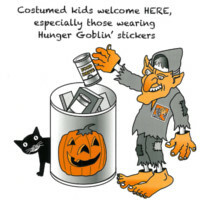 Stop by for a treat! 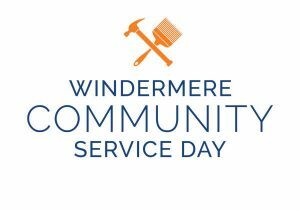 Windermere Foundation: For the past 26 years, the Windermere Foundation has donated a portion of the proceeds from every home purchased or sold towards supporting low-income and homeless families in our communities. The holiday season offers us the perfect opportunity to assist local charities, families and children in need. Watch our Facebook page for pictures of each of these great events!